Do you think the Urban Deer Control Plan has been effective? What has been your experience? This topic has 95 visitors and 20 responses. That's 40 minutes of public comment @ 2 minutes per response. It is now closed to participation. This topic has 8 visitors and 1 statement. It is now closed to participation. This topic has 6 visitors and 0 statements. It is now closed to participation. This topic has 2 visitors and 0 statements. It is now closed to participation. This topic has 0 visitors and 0 statements. It is now closed to participation. This topic has 6 visitors and 1 statement. It is now closed to participation. 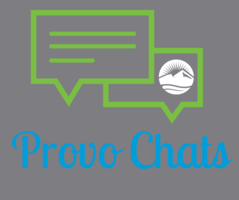 Do you have questions about the Provo Police, Fire, and City Facilities Bond? Let us find the answers for you. This topic has 44 visitors and 14 questions. That's 28 minutes of public comment @ 2 minutes per question. It is now closed to participation. This topic has 10 visitors and 0 statements. It is now closed to participation. What is your vision for Provo’s City Center and Public Safety Buildings? This topic has 761 visitors and 216 responses. That's 7.2 hours of public comment @ 2 minutes per response. It is now closed to participation. Do you have questions on the options being considered to address the city center and public safety buildings' needs? This topic has 52 visitors and 5 questions. It is now closed to participation. This topic has 8 visitors and 0 statements. It is now closed to participation. This topic has 29 visitors and 4 statements. It is now closed to participation. What do you think of the Bulldog Boulevard Improvement Project? This topic has 864 visitors and 248 responses. That's 8.3 hours of public comment @ 2 minutes per response. It is now closed to participation. 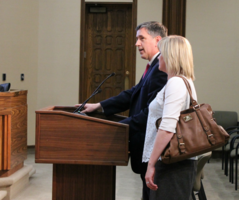 What do you think of Provo City's proposed budget for the next fiscal year? This topic has 54 visitors and 2 statements. It is now closed to participation. This topic has 14 visitors and 1 statement. It is now closed to participation. The West Side Committee has been developing a proposed land use map as a vision for Provo's future west of the freeway. What do you think of what they have proposed? This topic has 375 visitors and 34 comments. That's 1.1 hours of public comment @ 2 minutes per comment. It is now closed to participation. Should Provo City continue their support of the Miss Provo pageant? Should Provo City continue to have a parade float in local parades? Are there other options for representing and promoting Provo City? This topic has 649 visitors and 157 responses. That's 5.2 hours of public comment @ 2 minutes per response. It is now closed to participation. This topic has 15 visitors and 0 statements. It is now closed to participation. We are in the process of updating the General Plan and would like your input on these drafts. This topic has 166 visitors and 28 comments. That's 56 minutes of public comment @ 2 minutes per comment. It is now closed to participation.